Facebook is all about connecting with people. Anyone and everyone is now using it to share their daily updates and news. All businesses are actively using it to market their business and attract more customers. For some, it is working well, and for some, it is not but how do you know what works. The key to using Facebook Restaurant Marketing does not mean just having a Facebook page; it is more about what and when you update to attract more attention. Find out how to use other Social Media Platforms for your restaurant marketing here. Considering that the number of average Daily Active Users on Facebook was 1.4 billion in December 2017 and steadily sees a growth of 14% year over year, it only makes sense to promote your restaurant on Facebook. 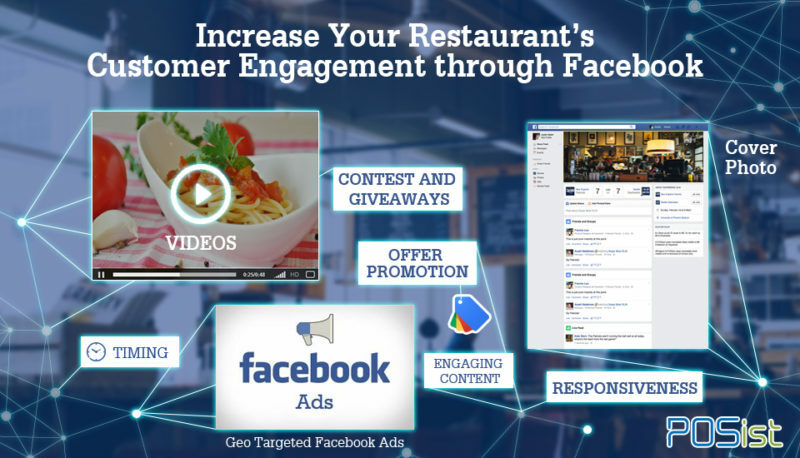 Here are few Facebook Restaurant Marketing tips that would help you engage better with your customers and increase brand awareness. Utilise the 851*351 pixels of space of your page provided to create a lasting impression. Anyone who visits your restaurant’s Facebook page will first see your cover photo. So, it is essential that you pick a picture, which is attractive and exciting, such as a photo of your signature dish or people having a good time or something people relate with your restaurant. You could also include banners of your offers or an event that is going to happen at your restaurant. It is the first impression of your restaurant, and it has to make a lasting impression. You should use Facebook ads if you are going to use Facebook for restaurant marketing. Make sure you make most of the amount you spend on Facebook ads. Reach out to Facebookers who are in your geographic location by geotagging your ad. Not only that, Facebook gives you provision of targeting a particular audience which makes it easier for you to reach the right set of people who would like to visit your restaurant. This article on Facebook advertising for restaurants will tell you how to run paid promotions on Facebook. Videos are a very engaging and attractive medium that has gained much popularity lately. Add behind the scenes videos of a dish being prepared or maybe a video of an event that happened at your restaurant. You can also upload a video of showcasing a recipe of your signature dish or any other food-related information or may be information about the cuisine you are serving. While doing so, make sure the videos you upload are not too long as people do not tend to have a very long attention span. An exciting way of engaging with customers is by organizing contests and giveaways. You can host a tasting session or give away a voucher to dine at your restaurant to the winner of these contests and giveaways. People love to compete to win something, so this can be an ideal way to engage and attract customers because they are more likely to visit again after the tasting session or can be a source for word of mouth. The timing of your posts on Facebook is just as important as the content. So ideally for a restaurant, the right time to post on Facebook should be midmornings because that’s the time people might be planning their day. People are also active on Facebook after 8 pm. Also, it is important to post regularly especially on the weekends because people aren’t busy and are spending time on social media to pass their time. Weekends are also days, on which people like to go out and dine or lunch with families and friends. Use your Facebook page to promote special offers and coupons. It’s a free platform, so, make use of it in every way possible. Get banners designed to promote the offers, as people are more likely to notice images instead of just plain text. This is not only going to increase footfall in your restaurant but also, on your Facebook page. This will not only help you attract new customers but will also help you retain the existing ones because everyone loves a little discount here and there. People who visit your restaurant are going to share photos and share their experiences. You should keep a tab on where your restaurant is checked into, tagged, and the hashtags used. 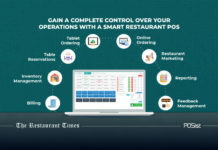 Keep track of what is posted about your restaurant and reply to all of them. Pick out testimonials and photos shared by your customers and share them on your restaurant’s page. It will make your customers feel special and part of your restaurant’s journey and for potential customers; it will be a way to know that your restaurant is liked and motivate them to visit your restaurant. Keep your content interesting and engaging. Don’t make all the posts sound like you are just selling instead update about recent trends related to the restaurant industry, greet your likers on a festival, etc. You need to treat your restaurant’s Facebook page as your personal Facebook page. Give your posts a personal touch by not making it sound too businessy. People will connect more and relate more to your restaurant. So remember, Facebook Restaurant Marketing is a boon for you and your restaurant especially if you do not have a big marketing budget. Use it to its fullest potential and keep growing! 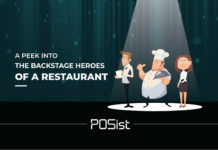 Previous articleRestaurant Consultant Umesh Kapoor reveals how to go from ‘Local’ to Chain’ Restaurant, Best Hiring Practices, and More.